Samantha describes herself as a lifelong learner, an engineering advocate, and nerd for neurotechnology. Attending grade school in Collingwood Ontario, with one year abroad in Switzerland, she has completed three of four years in her BASc of Materials Science & Engineering from the University of Toronto on full academic scholarship, while pursuing minors in business and bioengineering. She is currently completing her professional experience year in Quality Engineering at Synaptive Medical: an innovative medical device firm headquartered in downtown Toronto, which was named 2017 Life Sciences Ontario Company of the Year. Outside her professional life Samantha, as the 2015 recipient of the Canadian Engineering Memorial Foundation’s Ontario Ambassador award, has been passionately involved engaging youth in STEM through local, provincial and federal initiatives for outreach. Samantha’s work impacted more than 1,500 Ontario students in two years while she managed conference logistics for nonprofit Science Expo Youth Empowerment Group, and led a dedicated outreach team to design and plan seven sold out engineering events as Director of “Hi-Skule” Outreach at UofT in her second year. While in high school herself, Samantha won over $26,000 in awards and scholarships at the Canada Wide Science Fair for her research developing and statistically validating a psychometric screener to measure Facebook Overuse in relation to psychogenic human needs. 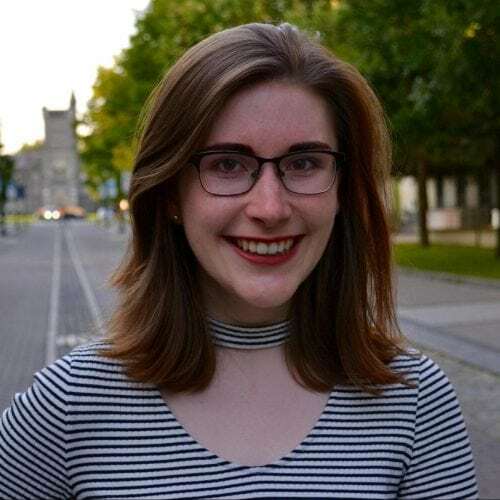 She has since remained connected to Youth Science Canada through her outreach work, and returned to the 2016 Canada Wide Science Fair in Montreal as an alumni ambassador. Samantha has also worked to impact her student community at the University of Toronto as Vice President Academic of the Engineering Society, recently leading a team to develop and launch an online platform to facilitate mid-course feedback for thousands of students across the Faculty of Applied Science & Engineering. Her leadership in the University of Toronto community has been recognized through three Faculty-nominated awards in engineering leadership, as well as the 2017 Engineering Society Semi-Centennial Award. Samantha further sits on the BMO Millennial Leaders Advisory Council, a group of young women selected from engineering and business programs across Canada to provide feedback on corporate initiatives in diversity and inclusion in the workplace. Samantha (when not working hard) can be found skiing, looking for an excuse to travel, or practicing classical voice.